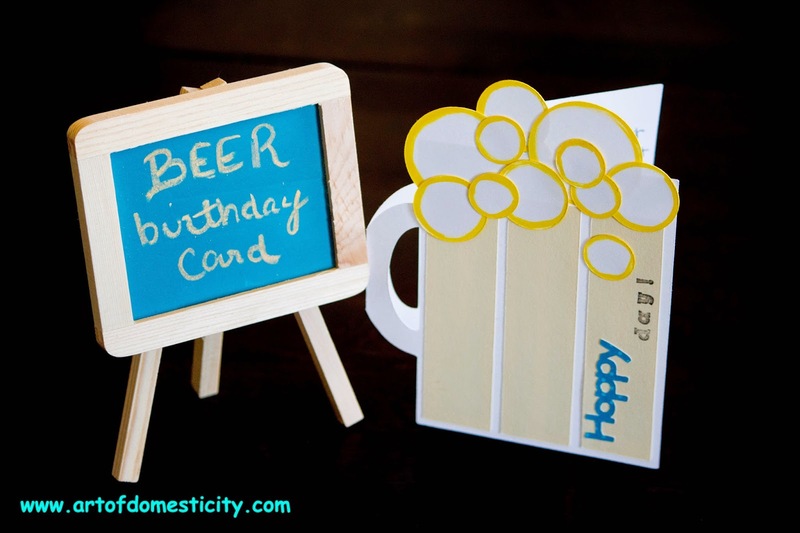 Art of Domesticity: HOPPY Birthday! Pretty much every guy likes beer. At least, in my life. Whether it's the generic Bud Light or Corona, or a more sophisticated brew like a Leavenworth Dunkelweisen, men like beer. My brother-in-law is no exception. 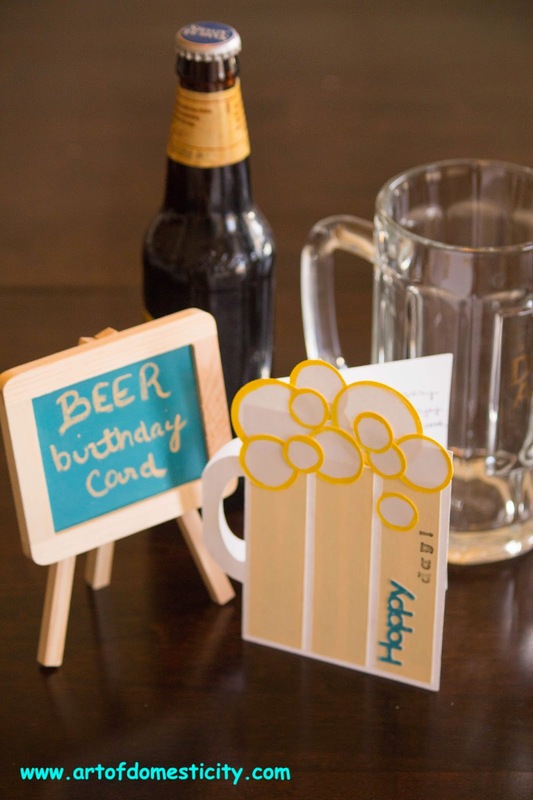 So this year I decided to "beer theme" his birthday present. He also likes to cook, so I got him a cookbook that uses beer in every recipe. 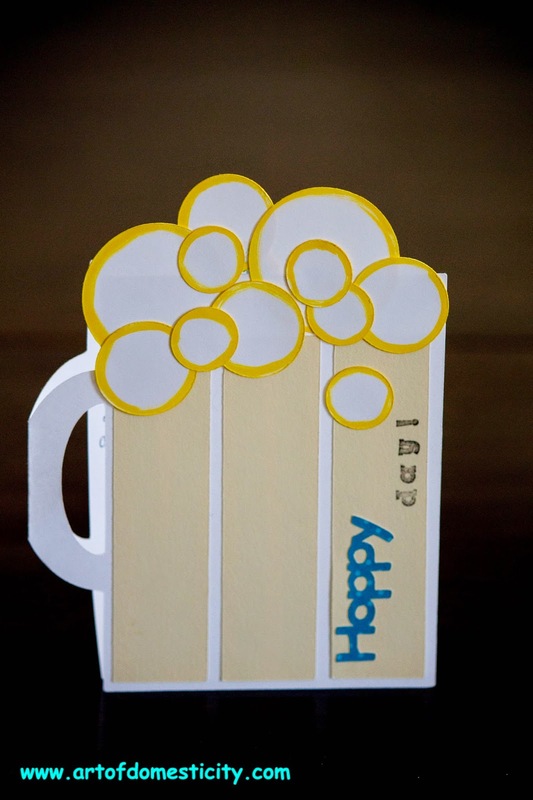 And to go with it, I made this awesome Beer Mug card.